Last week, I attended the MarketingSherpa Email Summit in Las Vegas. It was a great show, and marketers gathered to discuss the latest trends in email marketing. Since I am on the Demand Gen team at Marketo, this was right up my alley and I was thrilled to get some expert tips from email marketing thought leaders. One of the top takeaways I learned was from Jonah Berger, a professor at The Wharton School of Business, on Word of Mouth Marketing. As a marketer, I was familiar with the term ‘Word of Mouth Marketing’, and had heard it was effective, but I have never really thought of how to apply it in my own campaigns. After all—I focus mainly on digital campaigns, because they are easy to track and I am hesitant to invest money and time into a campaign where tracking the ROI can be difficult. But after hearing Mr. Berger’s talk, I realized I might be missing a huge opportunity for a whole new type of marketing. The initial answer is obvious—trust. You are much more likely to trust a recommendation from a friend over a company. For example, if I am thinking about buying a car, I am more likely to listen to my neighbor’s recommendation about his experience than that Volvo ad on TV. But the other answer, which seems obvious to me now, but didn’t come to my mind right away, is targeting. With word of mouth marketing, you find the exact people who are interested in your product. By asking my neighbor for advice on car shopping, I am obviously interested in a car, and am the target audience for those car marketers. Berger also mentioned that word of mouth marketing is 10 times more effective than a traditional ad. So You Know Word of Mouth is Effective….But How Do You Do It? In Mr. Berger’s book, Contagious, and in his session, he provided 6 steps (or as he called them, STEPPS) to drive people to share both online and face-to-face. Social Currency – what will make your audience feel cool or look good sharing? Triggers – what will remind people of your product and be top of mind to share? Emotion – what will your audience care about enough to share? Public – what will have high enough visibility that it will share itself? Practical Value – what feature contains practical and helpful information to share? Stories – what will tell a story and not just share facts? Here are two ways you can run a ‘Word of Mouth’ campaign digitally (and actually track the results). 1. Start an ad campaign designed to generate conversation. Lyft did a great job of this on Valentine’s Day encouraging me to share on social on what ‘sweetens my ride’. 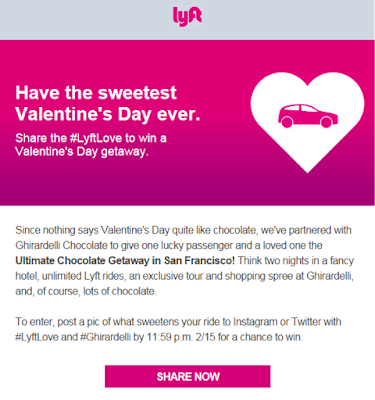 This is a great way to entice word of mouth marketing because by sharing this post, I am likely reaching my friends, who would also be interested in Lyft. And whether or not they have heard of Lyft, my post will entice them to learn more about the offer. 2. 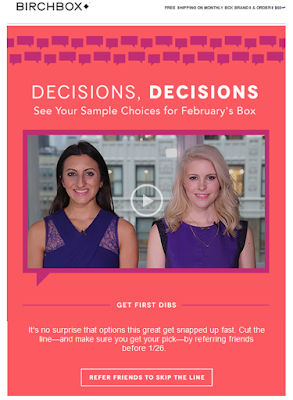 A referral campaign where your audience can send new customers your way and will receive a perk in return. 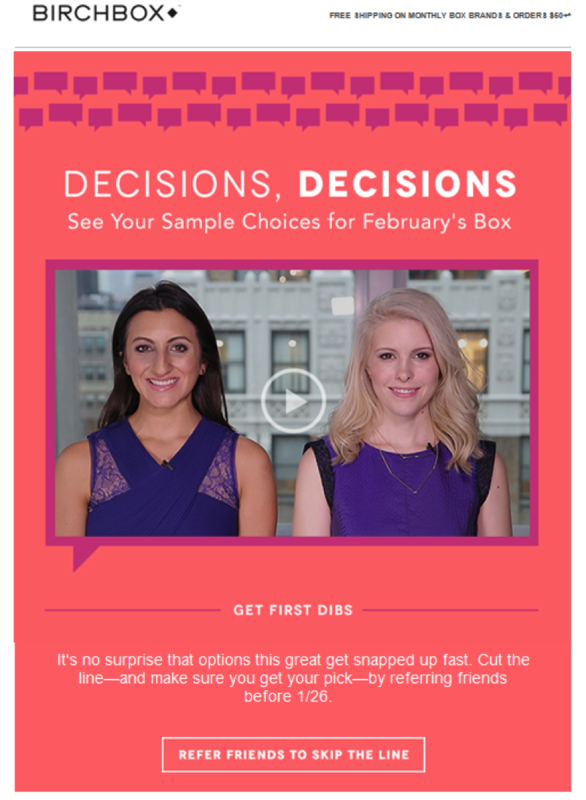 In this example, Birchbox is does a great job of getting me to refer my friends in exchange for early access to my favorite products before they run out. The overall theme of MarketingSherpa Email Summit was how you can make your campaigns more personalized and engaging. Word of mouth marketing is just one example of how you can increase engagement by encouraging your current customers to share your product with their friends—but there are countless other ways too! Do you have any great word of mouth campaigns you would like to share? Share them below.